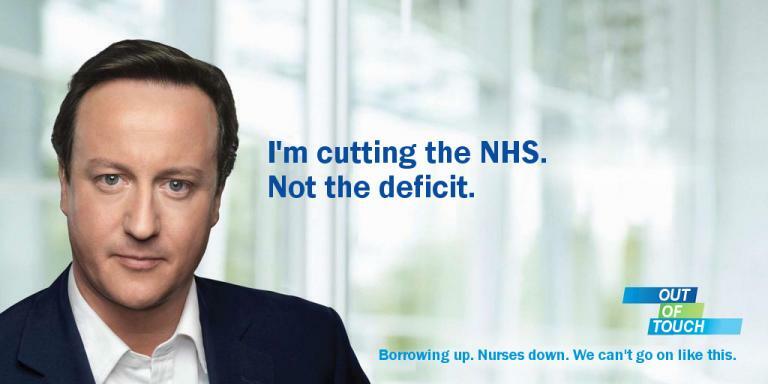 The Labour Party have re-purposed David Cameron’s notorious pre-election poster to highlight the fact that the Conservative Party are doing the exact opposite to what he promised the country in 2010. Amending the poster in this way is so old hat that it makes me want to put a really old hat on my head and run around the office shouting “IF YOU THINK THIS HAT IS OLD, YOU SHOULD SEE THE POSTER THAT THE LABOUR PARTY HAVE JUST HAD THE GALL TO MAKE AND PUT OUT A PRESS RELEASE ABOUT”. Why anyone would think rehashing a joke that is coming up for 3 years old is beyond me.